The world’s premier student technology competition, Microsoft Imagine Cup is celebrating it’s 10th Anniversary by making joining the Imagine Cup community even more fun and rewarding. 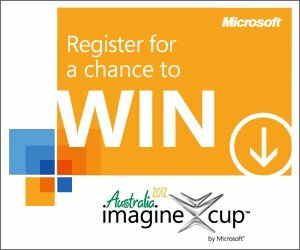 By registering yourself at Imagine Cup offcial website, you will stand a chances to win a Kinect, a PC or an all-inclusive trip to Australia for the 2012 Imagine Cup Worldwide Finals in Sydney. If you haven’t register yourself, register today and start changing the world today! 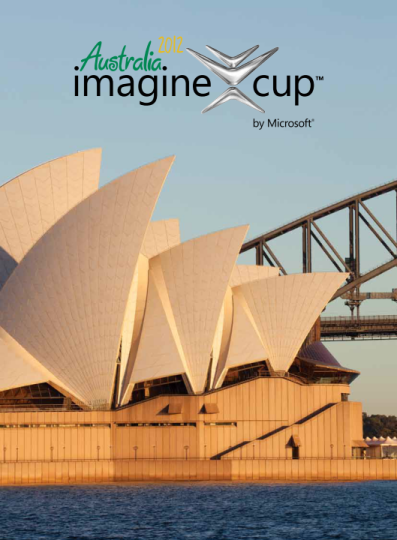 Grand Prize: An all-inclusive trip to Australia for the 2012 Imagine Cup Worldwide Finals in Sydney. Includes (1) winner and guest. Approximate Retail Value (ARV) $10,000. Register HERE. Please provide #10 as your referral code. Read HERE about the available competitions and challenges and Sign Up to compete in your favorite category. You’re done! You are now eligible to win a Kinect and a trip for you and a friend to Australia! Want to be eligible for the Competitor Prize? Become a Competitor and take the next step by taking a quick quiz or submitting and entry. *Note: If you complete Step 1 without entering #10 as the referral code you will not be able to enter it at a later stage. This Sweepstakes starts at 00:01 GMT on February 8, 2012, and ends at 23:59 GMT on March 13, 2012 (“Entry Period”). So you better act first. Oh before I forget, it is open for student only. Yes, student with age 16 and above only. 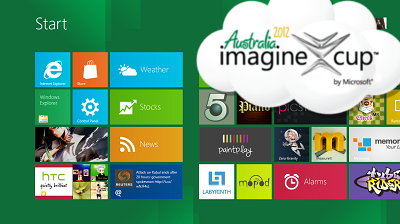 For more information of the sweepstakes, visit Imagine Cup official post.